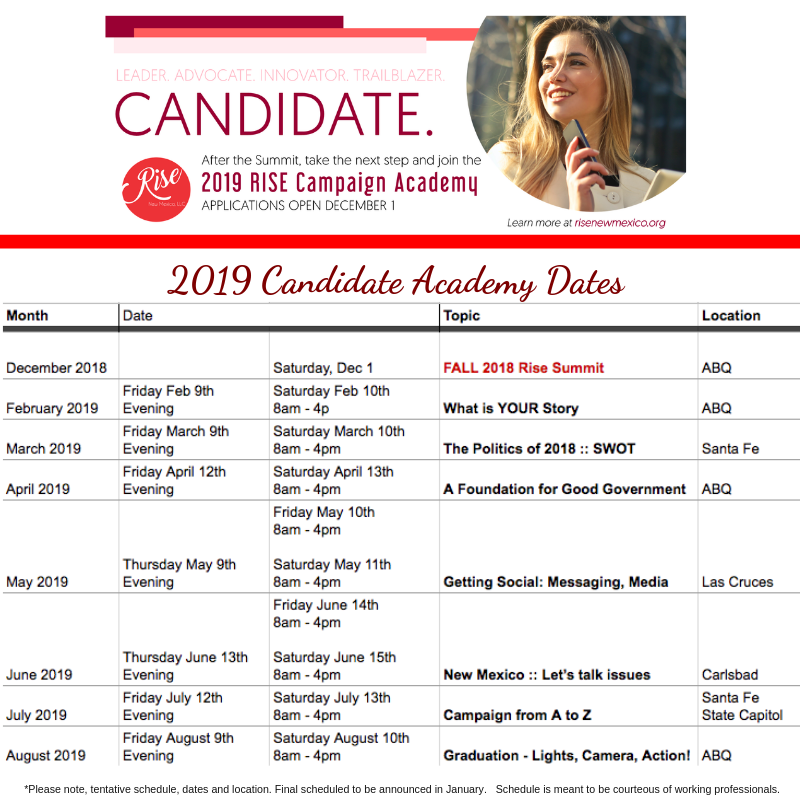 Rise New Mexico’s intensive 7-month Campaign Academy will lead women through each step of creating an effective campaign. Monthly modules will guide candidates on developing a persuasive advocacy message, the principles of policy development and good government, and managing an issue-based or candidate campaign. Sessions will feature prominent business and policy leaders from New Mexico as well as nationally-renowned experts in communications, public relations, and policy development. A full schedule for the 2019 Candidate Academy is below. Applications will be accepted until January 1, 2019. Space for the intensive program is limited, and applications will be evaluated by a distinguished panel of New Mexico business leaders. The campaign school begins in February 2019. 2019 RISE Training Class Applications Due 1/15/2019. Final selection of candidates to be made via the interview process.